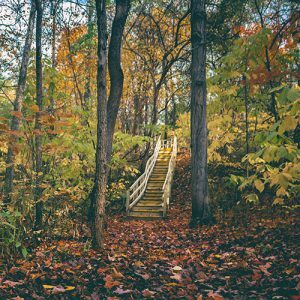 The Friends of Erie MetroParks’ mission is to further the goals of Erie MetroParks, provide volunteers, contribute financial assistance, and cultivate a positive community attitude toward the park district. We are a group of private citizens who support Erie MetroParks in the conservation and preservation of Erie County’s natural environment. We come together to fulfill our mission by sponsoring events and activities that promote the use of the parks, donating time and funds to upgrading and improving park facilities, and increasing public awareness of our Erie MetroParks. Take a look at some the project the Friends have accomplished. The Friends of Erie MetroParks received grants and donations from the Erie County community for this project. The Frost-Parker Foundation contributed $5,700 for the deck and Sandusky/Erie County Community Foundation contributed $3,779 for the building of the boardwalk. Other donors included Mathews Ford, Elks Lodge, Townsend Ruritan Club, & Lindsley Insurance with the total grant money being $10,429. This money was used to build a new deck and boardwalk off the Castalia Quarry MetroParks parking lot. 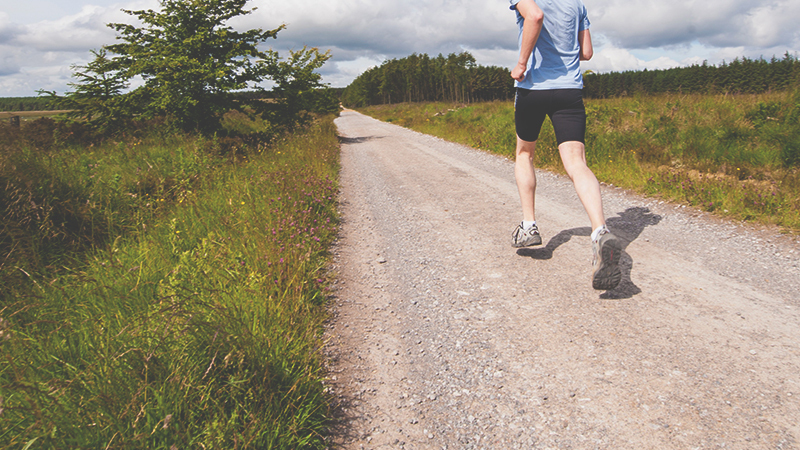 These new features were unveiled Sept. 8, 2013 at the Friends Go Take a Hike Kickoff. This new addition will be used for group programs, family picnics and gathering area. The Friends of Erie MetroParks had the opportunity to not only build the dog park fence, but also sponsored the Grand Opening and hosted a Greyhound Lure Coursing Event . This project included constructing the Adventure Walkway and placing trail markers and maps. 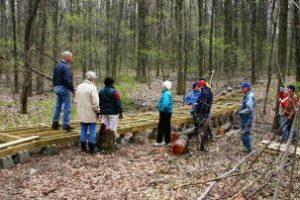 We also constructed the deck at the Route 61 entrance to Edison Woods, as well as blazing the Upland Oak Trail and North Creek Trail. 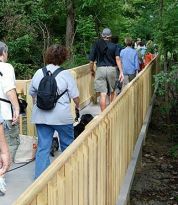 The steps located along the Paw Paw trail were made possible by generous grants from the Erie County Community Foundation, Access to Recreation Fund, and Wightman-Wieber Foundation. 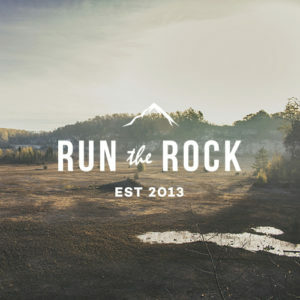 Click the button below to see this year’s Run the Rock results! 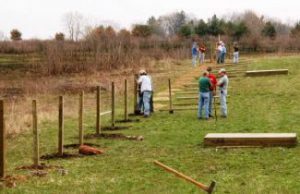 Become a member of The Friends of Erie MetroParks and start making a difference in the Erie County community! Attend the Annual Gathering, featuring great speakers and tasty homemade food. Receive publications regarding events & activities of the Park District and the Friends. Develop new friendships with people of similar interests. Participate in promotional, educational, and nature-related social events.